At my house nothing is done in quite the normal traditional manner. We waited until the beginning of December to "put up" our tree. Since we had a gallery in Panacea we made 3 trees out of wooden pallets to showcase our photographs. It was super whimsy and kind of perfect for us. One of those trees is a pine tree! 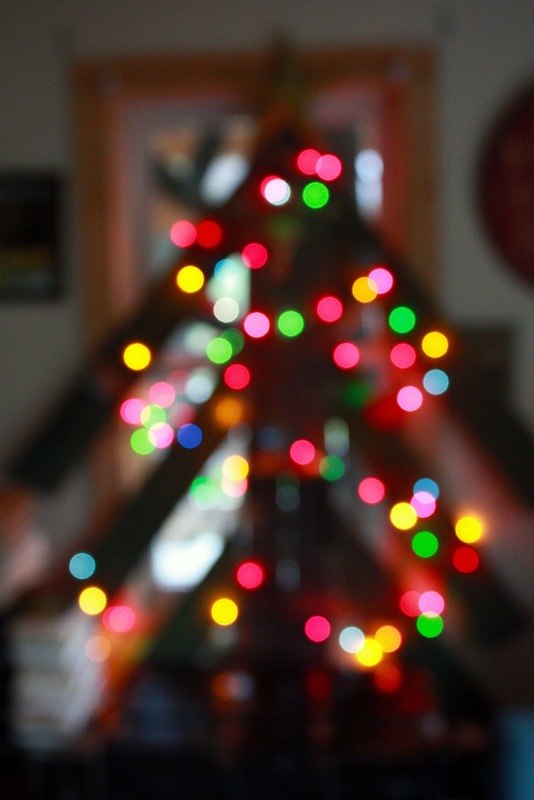 When we took our gallery down we decided that the pine tree was the perfect choice for our Christmas tree! Wanna see? 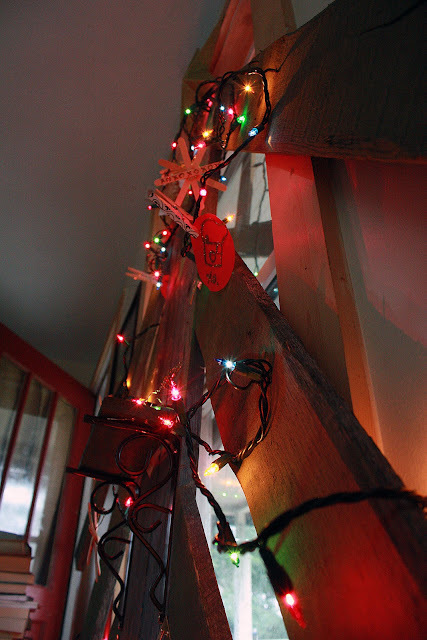 Since we're not too big on decorating, unless its for a season, I used some ornaments I used last year on our treepod. 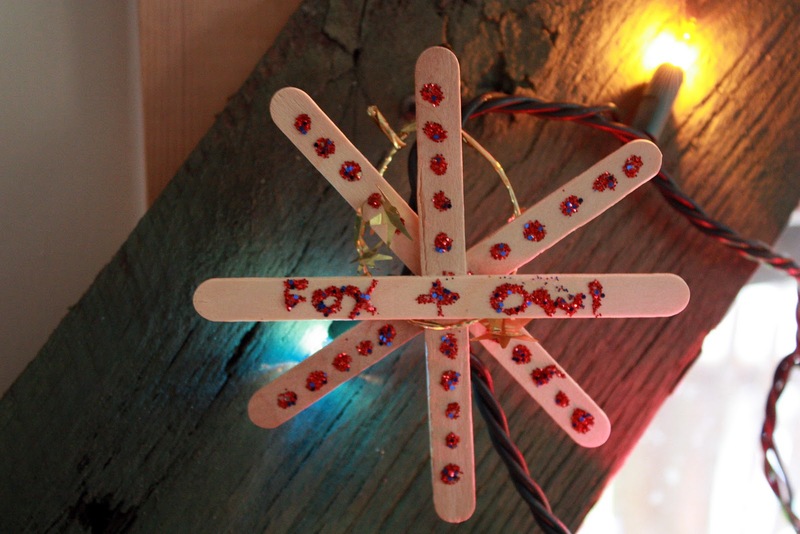 When I was teaching preschool I whipped up a few popsicle stick snowflakes and red balls with glitter and the gingerbread snowman was a gift to me from Ms. Carla and her class :] That one is one of my favorites! 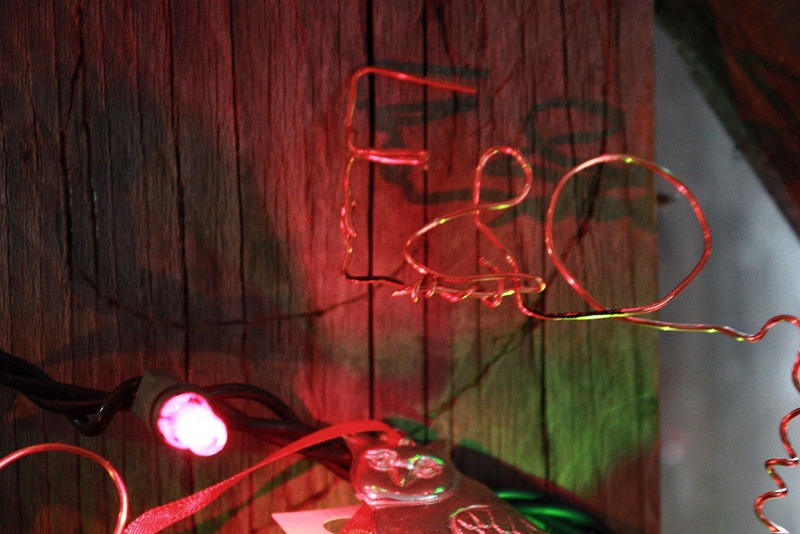 The "F&O" in wire is where we put our biz cards! Andrew made that, I thought it was super clever! We'll be putting our gifts on the trunk so they'll kind of be "under" the tree ;-) What does your tree look like? such a neat idea! Love your ornaments too! Oh, this tree is perfect for y'all and so creative!!! I LOVE IT! 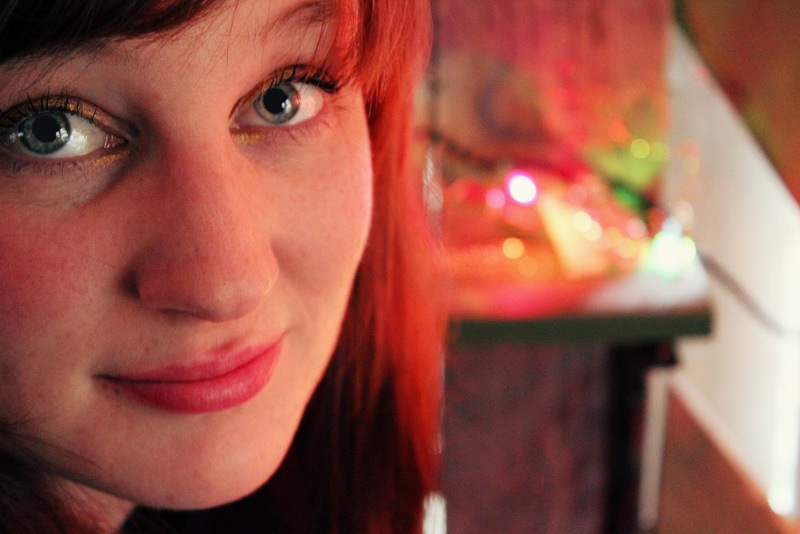 Also, that picture of you is downright gorgeous! I love it! Before E and I ended up with a fake tree I tried convincing him we should make one, but couldn't figure out how to explain it. THIS woulda done the trick. :) You all are wonderful and the tree suits you so well. 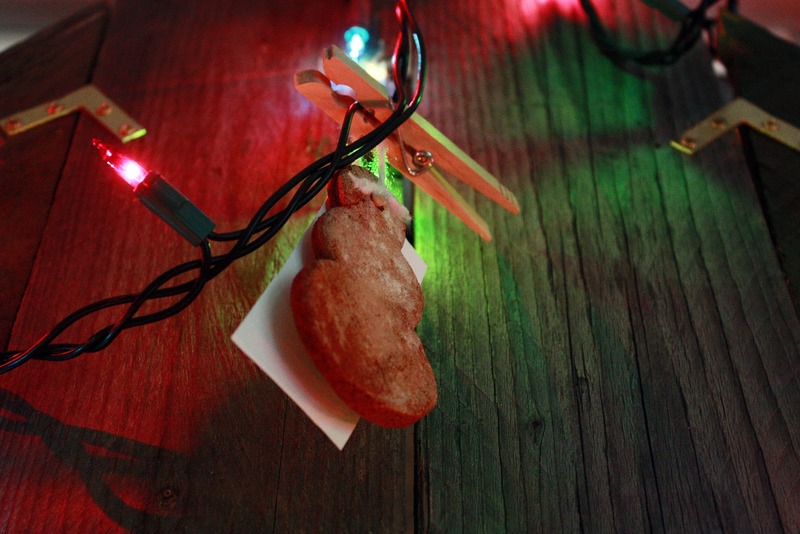 That is such a great idea and good use of an old prop :) I've been so busy and indecisive on how I wanted to decorate I just didn't bother putting one up this year. However I'm going all out next year so it'll definitely make up for this one. I have to say that the unconventional way is a lot more fun! I just started getting back into the spirit of Christmas decorating last year, but we haven't had a chance to decorate yet this year with the supposed arrival of new furniture making us wait. 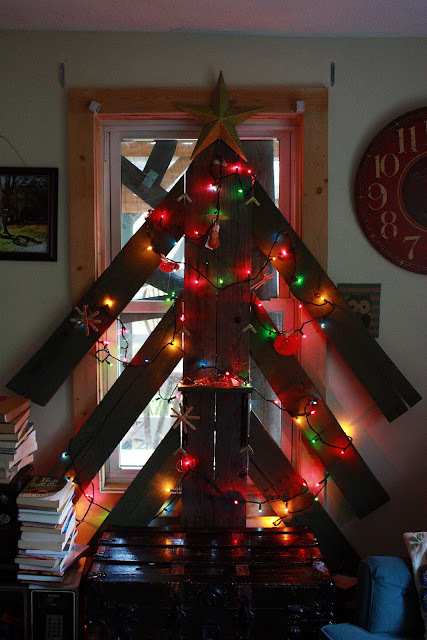 I may have to get unconventional & make our own tree if things take too much longer to get straightened out.